It could be said that the most enduring legacy of the operetta is the politically incorrect exclamation “Come, Gypsies!” – but it also can’t be denied that Tassilo’s aria which features the call is very catchy. In any case politics is of no importance here – in spite of raging national and class conflicts, the spectacular collapse of the Austro-Hungarian Empire and the exile of Emperor Charles I to Madeira and his death in 1922, Imre Kálmán cultivated the traditions of Viennese operetta, feeding them the myth of a multicultural empire. His Countess Maritza is shrouded with ethereal, decadent beauty and enchanting exuberance. 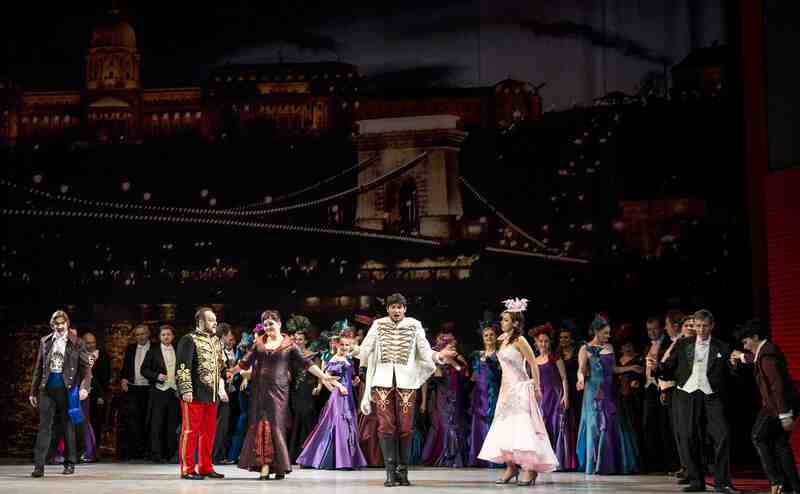 The elegant waltz appears shoulder to shoulder with Hungarian dulcimers and Gypsy fiddles. Any melancholy is chased away by the fiery csárdás, and the famous duet by the countess and Baron Kolomán Zsupán (based on the protagonist of another acclaimed operetta – do you know which one?) takes us to Varaždin in Croatia. Careful listeners will also spot occasional inspirations from jazz and musicals straight from the US. But what’s it all about? Love, naturally!